Truth Of A Liar x Single Second The Dead Rise! Our boys from Canada Single Second just released a collabo tee with Truth Of A Liar and art done by Drop. 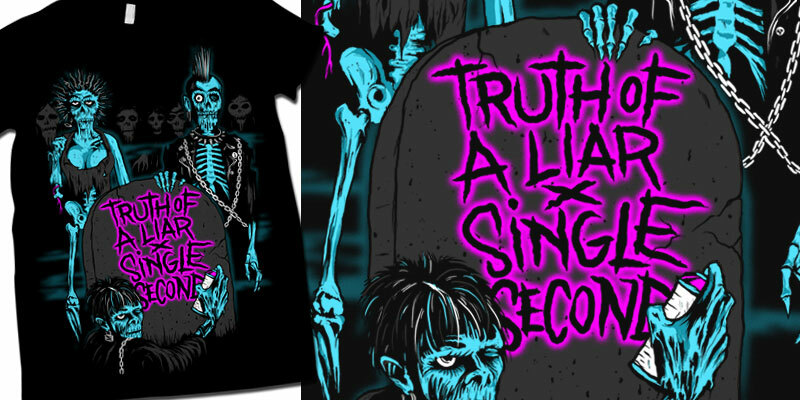 Pick some up at both Single Second or Truth Of A Liar now as they are limited to 50 per site!